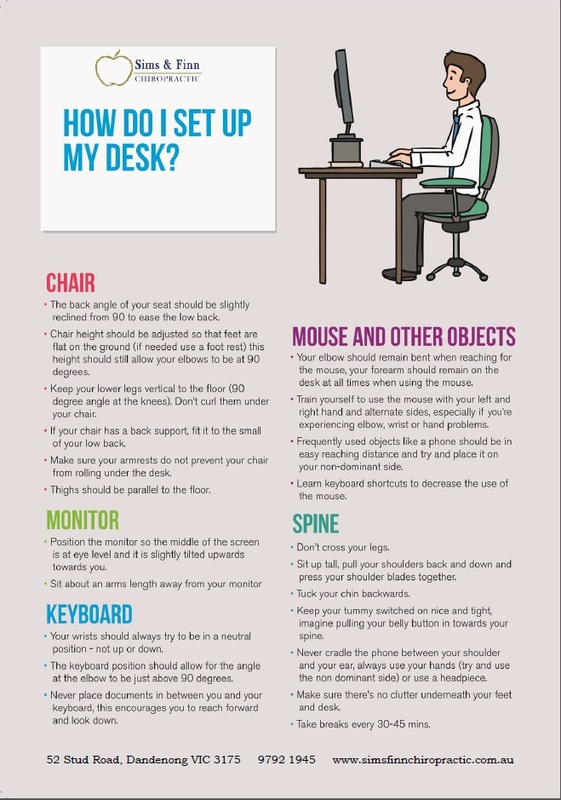 Please use the following guide to help walk you through the correct desk set up of your home and office desk, including your chair, monitor, keyboard, mouse and phone. The importance of a correctly set up office desk is crucial to your overall spinal alignment and productivity. The most important spinal position to avoid when sitting at your desk is an anterior (forward) head. Due to the technology age that we live in, we are always looking at one device or another. Often looking down. This also includes our school kids who are now using laptops or iPads as a learning tool. This continual anterior (forward) bend of the head and neck can cause many secondary conditions in the body. 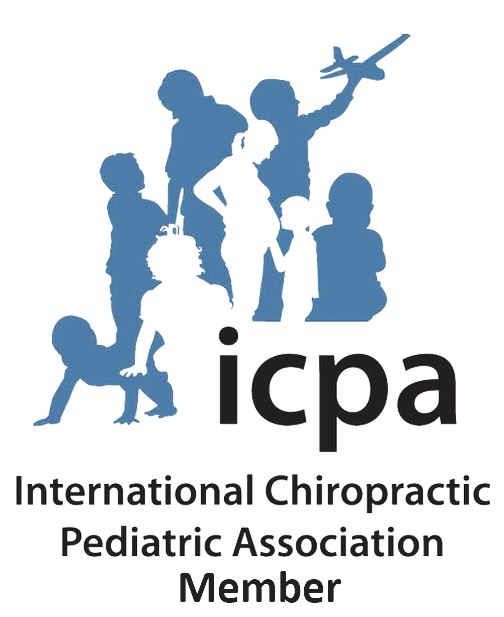 These include, but are not limited to; arm pain, decreased range of motion, headaches, mid-back pain, muscle spasm, neck pain, shoulder pain or jaw pain. If you know anyone with the above symptoms, feel free to pass this information on. 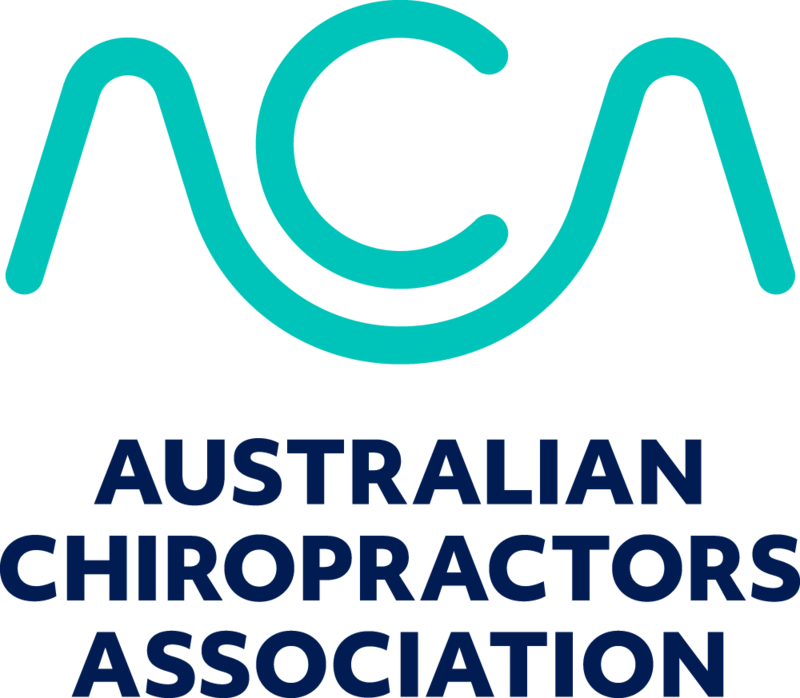 It is also a good idea that they have their spinal alignment assessed by a chiropractor to address any underlying issues or dysfunction. Please feel free to print and share this hand out, alternatively you can use one of the sharing buttons below to post through your chosen social media channels.